State education officials have solicited meetings all month to work out a plan to let the federal education department know how they will help low-achieving students. Some community education leaders said they think the state still has a long way to go. 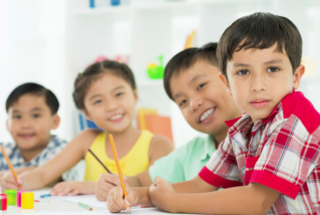 Two meetings will be held this week in Los Angeles, and two more will be held in online webinars open for everyone to have a say on California’s Every Student Succeeds Act State Plan. The 30-day public comment period began in Sacramento last month and the California Board of Education decided to hold meetings throughout the state, with flyers explaining the meetings in English and Spanish. The public comment period ends June 30. The two online webinars are planned for June 21 and 24. At the earlier public hearings, some of the state board members said they wanted to see a stronger commitment to help the state’s lowest-performing schools, many of them in LA Unified. The draft document will be updated before being presented to the federal government for the $2 billion in Title I funding for low-income students. About a dozen parent-based groups have already offered testimony, such as Parent Revolution. “The craziest thing about the current plan is that it still has no serious plan at all for what to do about the lowest-performing schools in the state, which is disheartening and something we will continue to speak out about,” said Gabe Rose of Parent Revolution. ESSA is different from the Local Control Funding Formula money that goes to low-income schools, which also helps many LA Unified schools. Also, Gov. Jerry Brown recently revised the budget to include more money for LCFF, which specifically helps English-language learners, low-income, and foster youth. • Details showing support for English learners, migrant children, effective instruction, accountability, and assessments. From the state’s ESSA report. 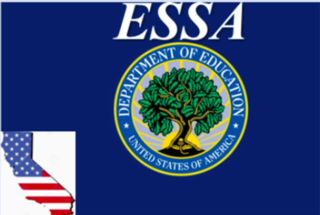 Seth Litt, the executive director of Parent Revolution, pointed out that as it stands now, the ESSA plan “does not even have a definition of what an ‘ineffective teacher’ is.” Litt also said he was concerned about the vague language in the interventions to help low-achieving schools. Wednesday, June 14, 9 a.m. to 3 p.m.
Wednesday, June 14, 6 p.m to 8 p.m.
Thursday, June 15, 9 a.m. to 11 a.m.
Saturday, June 17, 9 a.m. to 2 p.m.
Wednesday, June 21, 3 p.m. to 4:30 p.m.
Saturday, June 24, 10 a.m. to 11:30 a.m.
To be part of either webinar, email ESSA@cde.ca.gov. June 28, 2016, 1–4 p.m.